Many people have “start a business” on their bucket lists, and in general, stories of entrepreneurship are very inspiring because there’s determination, hard work, and dream fulfillment involved. 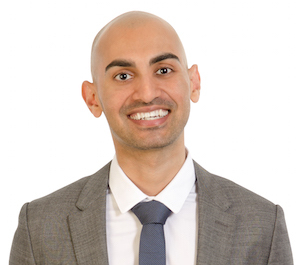 For this interview, I chose Neil Patel, a serial “entrepreneur, investor, advisor and blogger” (quote from his Twitter profile). I wanted to feature him because he has an inspiring life story (recommended reading for more motivation for achieving your dreams). I love running… so much that I run at a mile a day. I execute fast. No matter what I am doing, I move extremely quickly while taking data into account. When things don’t go the way I want, I make adjustments and keep pushing forward. When I first started out, I really enjoyed starting companies. I thought it was extremely fun and easy to do… but I always struggled with growing each of my businesses. As time went on, I found that growth is actually a lot easier than starting a company and I eventually got good at it. I never thought that starting out and getting the initial traction would be the hardest part about entrepreneurship. Elon Musk. When he believes in something, nothing can stop him. He has big dreams, but unlike most people, he is making his dreams come true. Run a marathon in every state. If you weren’t doing anything related to your businesses, what would you be doing in your free time? Watching TV or spending time with my family. Learn from other people’s mistakes. If you can avoid making mistakes as an entrepreneur you’ll drastically increase your chance to succeed. Thank you Neil for taking the time to reply and share your advice with us. If you want to learn more about Neil, please read his story (on his blog), check out his website, and follow him on Twitter. This entry was posted in Feature Interviews, Inspiration, Interviews and tagged bucket list, entrepreneur, interview, investor on August 18, 2014 by Shelly Najjar.